IAM International President Bob Martinez announced this week that IAM District 15 New England Area Director and Local 447 Assistant Business Manager Russ Gittlen has been appointed Director of Guide Dogs of America (GDA) effective January 1, 2017. 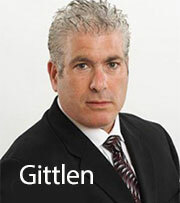 Gittlen will replace retiring GDA Director Dale Hartford. 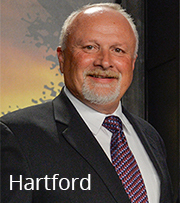 Hartford joined the IAM in 1982 as a millwright-welder in Skowhegan, Maine. Within two years he was elected local lodge president. He then served as District 99 Directing Business Representative, Grand Lodge Representative and in 2004 was named Administrative Assistant to Eastern Territory General Vice President Lynn Tucker. In 2010, Hartford was appointed as GDA’s director, in charge of all the facility’s activities and staff. Gittlen joined the IAM as a UPS mechanic and has been an active member for nearly three decades. He became a shop steward at UPS in 1990 and was appointed Business Representative in Lodge 447 in 2000.Â As New England Area Director, he is currently responsible for coordinating all of the activity of the five District 15 local lodges in the region. Gittlen has actively supported GDA for many years and helped raise over $460,000 for the IAM’s number one charity.Â In recognition of his work, Guide Dogs of America honored him with its 2014 “Gift of Sight” award. Guide Dogs of AmericaÂ provides guide dogs free of charge to blind and visually impaired men and women across the U.S. and Canada. With the help of the IAM, the school was founded in 1948 after a blind IAM member was rejected for a guide dog due to his age of 57. Since then the union and its generous members have been GDA’s largest financial supporters.